The official followup to Kisses from Katie, discover the next chapter in to story of one woman's calling to bring healing and hope. Want to feel inspired and encouraged? Called to compassion, Katie Davis Majors' story is like no other. When she was just in her teens, one average teenager stepped out into a life that was anything-but-ordinary. Packing her bags, she swapped her home for Uganda, and adopted 14 children from the war-torn country. The story of her unique mission for motherhood, Kisses from Katie, was a bestseller, and moved readers to follow their hearts for helping others in God’s name. Now, 10 years after her move to Uganda, Daring to Hope is the next chapter in Katie’s story. Picking up right where Kisses from Katie left off, Daring to Hope is all about the challenges and rewards of serving God in the most unlikely of ways. It’s a book all about finding God’s heart for the neglected, the needy, and those nobody else wants. It’s a book not about finding home and purpose, but about making it. Raising 13 children, whilst running a charity, a home, and sharing God with those around her unique family - the life of Katie Davis Majors is one filled with highs, lows, miracles, struggles and, above all, hope. The perfect book for anyone wrestling with finding how they can follow God and make a difference. 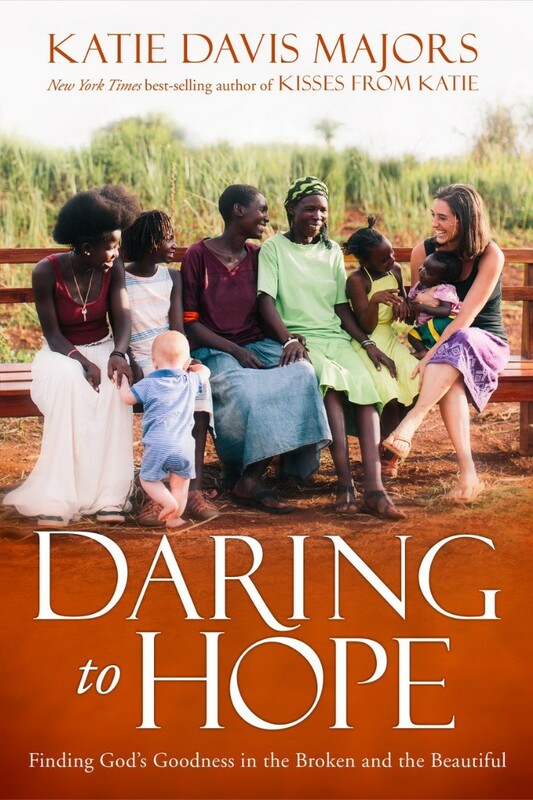 Daring to Hope will challenge you, as well as making you laugh, cry, and look forward to all you can do when you dare to imagine a better future for others in need. Dare to believe, dare to say yes, dare to hope. Daring To Hope by Katie Davis Majors was published by Authentic in October 2017 and is our 6598th best seller. The ISBN for Daring To Hope is 9781780784601. Be the first to review Daring To Hope! Take a peek at some articles related to Daring To Hope. Got a question? No problem! Just click here to ask us about Daring To Hope.